Windows Movie Maker was finally retired in 2017. After nearly two decades of being available free with Windows, Microsoft’s video editing tool is no more. While it is possible to install it via third-party websites, the lack of Microsoft Support makes this a bad idea. Instead, it’s time to turn your attention to an alternative. Many free video editing tools are available for Windows, so there’s no longer any need to hold onto Movie Maker. Move onto a fresh new edit with one of these five top choices. Although other more complex video editors The Best Free Video Editors for Windows The Best Free Video Editors for Windows Everyone takes videos these days. Yet powerful free video editors remain rare. We present the absolute best free video editors available for Windows. Read More are available, we’ve focused on free Movie Maker alternatives that offer a similar level of ease. We’ve also focused on tools that are maintained by the developers, as opposed to ones that have been abandoned or are not compatible with Windows 10. While more complex features may be included, these tools will allow you to create a movie in minutes on Windows 10. A free and open-source video-editing solution, Shotcut is also cross-platform — useful if you switch between Windows and Mac or even Linux. It’s also codec-independent, which enhances the cross-platform use. You can literally move projects between operating systems! Along with industry-standard timeline editing, Shotcut also supports simple trimming, cut, copy and paste, track mute, hide and locking, and a full history to enable undo and redo. All of these editing tools are accompanied by keyboard shortcuts. Files can be imported from your hard drive, network drive, camera SD card, cloud storage, and even dragged and dropped into your project. Shotcut also offers a bunch of impressive video effects, such as fades, wipes, blending modes, video filters (great for delivering a uniform look to your movie) and speed effects. There is a lot here, and you’ll find it can take a while to develop expertise beyond the basic editing tools. But that’s the beauty of this alternative: Windows Movie Maker was a simple tool, and Shotcut offers the same simplicity, with the option to expand your video editing skills if you want to. A nice choice of tutorial videos can also be found on the site to help you get started. Now this is an unusual option. Ezvid is more commonly known as a screen capture tool, so you might not think of it a a Movie Maker alternative. But it also features a video editor. Better still, you’re not limited to screen capture video clips in the editor! To get started, click the filmstrip icon to add pictures and video clips to the timeline. This will let you edit your video together, but you’ll need an additional app to crop clips. Note that there is also the option to record audio (you cannot import a separate audio track), and give the recorded track some interesting effects, such as telephone FX. Ezvid is not an accomplished video editor, and if anything is less functional than Windows Movie Maker. However, it remains a useful tool to have around, if only for the screen recordings. See our dedicated roundup for more screen recording tools 3 Free Screen Recorders to Capture Your Windows Desktop 3 Free Screen Recorders to Capture Your Windows Desktop You can use a screen recorder to create tutorials, document bugs for troubleshooting, or track unsolicited activity on your desktop in your absence. Choose from one of our recommended tools. Read More . 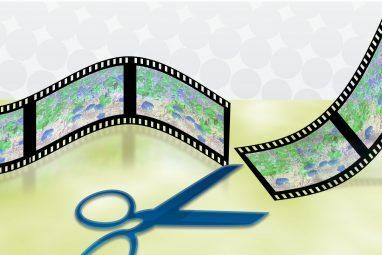 A vast selection of free video editing tools are available in the Window Store. Sadly, they’re almost all hampered by a poor UI, instability, or overbearing adverts. One app that we tried that managed to do the job without any trouble is Story. Unlike the other tools in this list, Story’s aim is to create movies from photos, video, and music. It’s a little like a Windows version of Google Photos How to Get the Most Out of Google Photos Movie Editor How to Get the Most Out of Google Photos Movie Editor The Google Photos app has an excellent movie editor built in. It's available absolutely free to iOS and Android users and offers some great features. Read More in that respect. All you need to do is browse your computer for the video files, find some photos if necessary, and add a soundtrack from the list. Using Story is a little fiddly. When you’ve added a video to your project, click Edit to select the portion of it that will appear in the finished project. Once this is done for all videos, and any images have been added, you can also Add Music. A title can also be set, and the video exported with ease. Available via iSkySoft, Filmora Video Editor is the only paid solution in this list, but is worth trying out due to its straightforward, no-fuss approach to editing video. Although the app will set you back $60 (lifetime subscription; a $30 annual sub is also available), a free trial is available, which we’d encourage you to try out. Getting started is as straightforward as you might expect, and the user interface is intuitive enough. As you’d expect, videos, still images, and audio can be imported into the timeline with ease. Once there, they can be cropped, swapped around, and various effects added. There’s also the option to rotate and crop videos, add overlays, effects and transitions, along with the expected standard editing tools. Your finished video can then be rendered and exported into a suitable format, and even uploaded directly to YouTube, Facebook or Vimeo. Another Windows Store app that is worth checking out, Animotica makes great use of touch screen devices. But it’s also perfect for desktops and non-hybrid laptops. Videos and photos can be edited together with transitions, as expected, but a few effects are included. 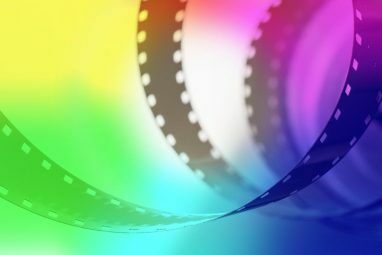 Color can be adjusted, for example, and video slowed or sped up. Blurred background can also be added to videos. There’s also the ability to adjust audio and add a configurable panning motion for the Ken Burns effect Filmmaker Ken Burns Launches iPad App of Legendary Documentaries Filmmaker Ken Burns Launches iPad App of Legendary Documentaries Documentary filmmaker, Ken Burns, just released an iPad app, also called Ken Burns. The application is a collection of short streaming videos, spanning the history of the U.S., from 1776 to 2000. Read More on photos. The result is a polished video produced with one of the most accomplished Windows Store apps available. This might be the best free alternative to Windows Movie Maker. It’s just so easy, and effortless, to create a video with Animotica. At the time of writing, Animotica is currently in beta. All of the Windows Movie Maker alternatives we’ve looked at so far have been apps that are downloaded and installed. However, browser-based tools are available for editing video. Such tools involve uploading the clips first, then editing them together. 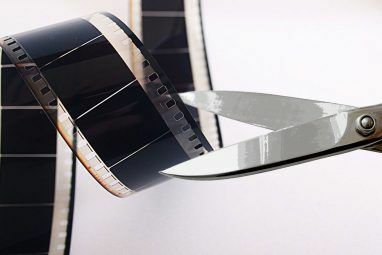 Several browser-based video editing tools 4 Free Tools For Online Video Editing 4 Free Tools For Online Video Editing Video editing online has helped to turn everyone into armchair filmmakers. Here are the best five editors on the web. Read More are available. As there is no download required, why not check them out? They might be more suited to your needs than an installed application. It’s great to see that Windows has so many free video editing options, from the open-source world to the closed shop of the Windows Store Desktop vs. Windows Store Apps: Which Should You Download? Desktop vs. Windows Store Apps: Which Should You Download? On Windows 10 and 8.1, you can either download and install a Desktop applications from the web, or you can get an app from the Windows Store. We explore the differences between Desktop and Store... Read More and everything in between. Did you find one that you like? Do you have any suggestions we can add to this list? Tell us in the comments. Explore more about: Video Editor, Windows Movie Maker. On Ubuntu, I used KDenLive, and loved it. The Windows version has a portable and installable version, so you don't even need it to be always on your system. It's easy, has great effects, and is open source! 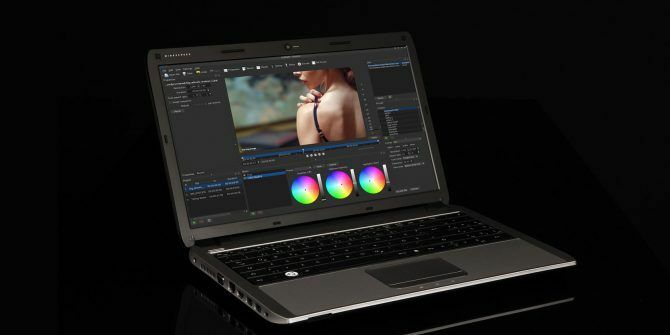 If you have a really beefy PC or Mac for whatever reason, DaVinci Resolve is also free to use. Incredibly powerful (moreso than Final Cut Pro) and arguably the single best color correction system on the market. The only caveat: To do its legendary color work, it handles video color values in extremely heavy floating point representation (rather than the lighter and almost universal uint representation), making it BRUTAL on your computer, especially graphics cards and RAM. Yes, Hitfilm is really powerful, simple to use and with lots of great tutorials on YouTube. I would also recommend OpenShot.